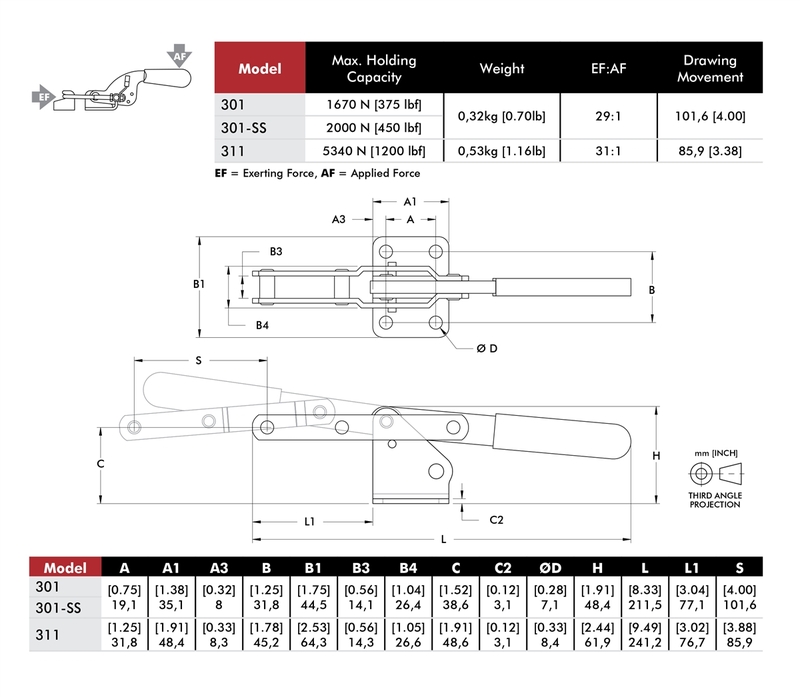 DE-STA-CO clamp Series 311 are the most widely used clamps in the molding industry. You will find these clamps being used to clamp mold halves together once the mold is closed. 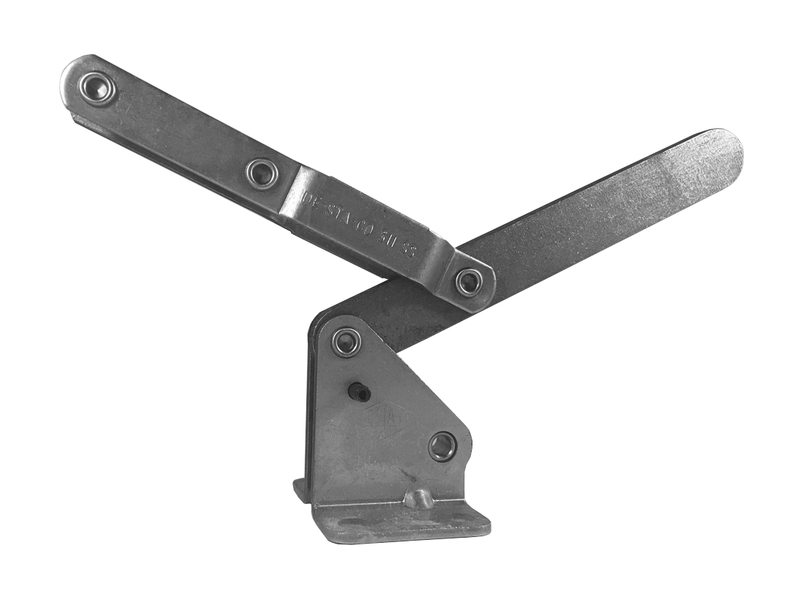 A fixed stop automatically limits handle travel at various clamping positions once the clamp is installed, removing the need to adjust a manual stop. 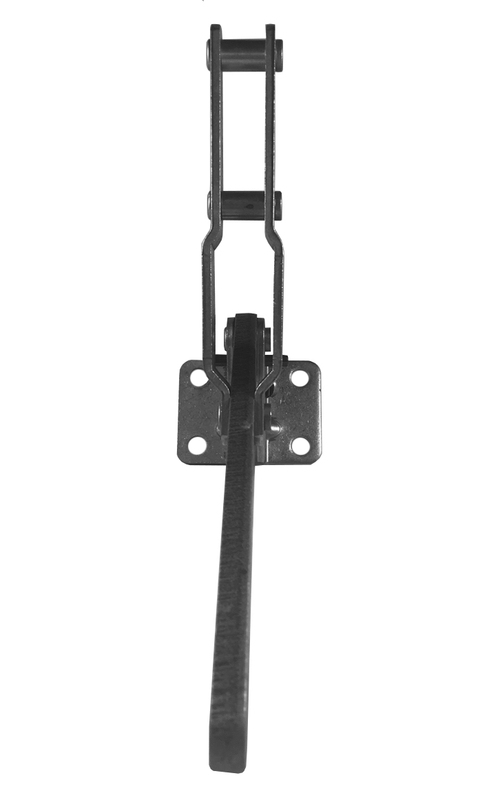 These series 311 have flanged base allowing mounting flexibility. These clamps are available in stainless steel. Due to the high temperatures of the molding process these clamps are not supplied with grips.